Among many other things (getting settled in Somerville, selling my place in Seattle, etc.) 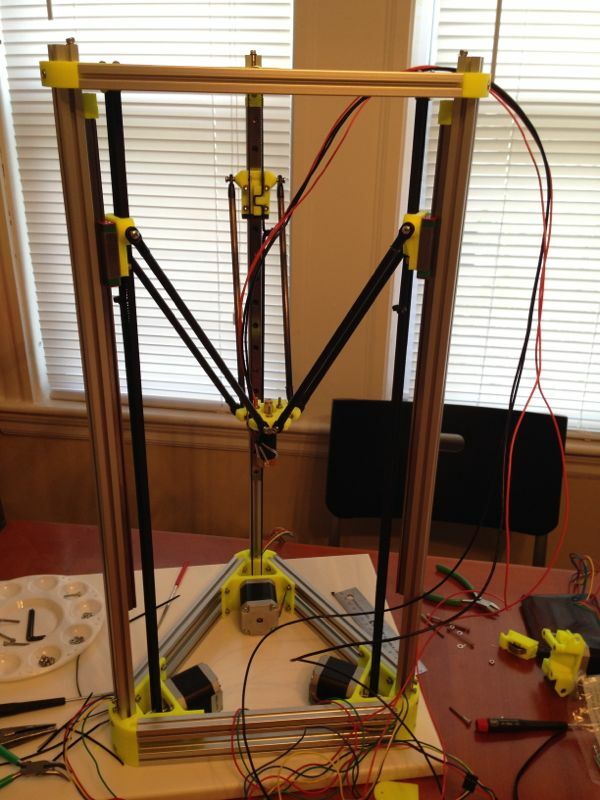 keeping me busy, I’ve relaunched my project/company that I started work on last year, and as part of that effort, I built a 3d printer. I’m a mechanical engineer, and as such, I’ve gotten to use/play with 3d printers for the past 12 years or so, and of course the idea and some of the technology is much older than that. But the past five years or so have brought significant changes to the industry, at both the consumer and commercial levels, and printers are happily becoming a lot more accessible than they used to be. 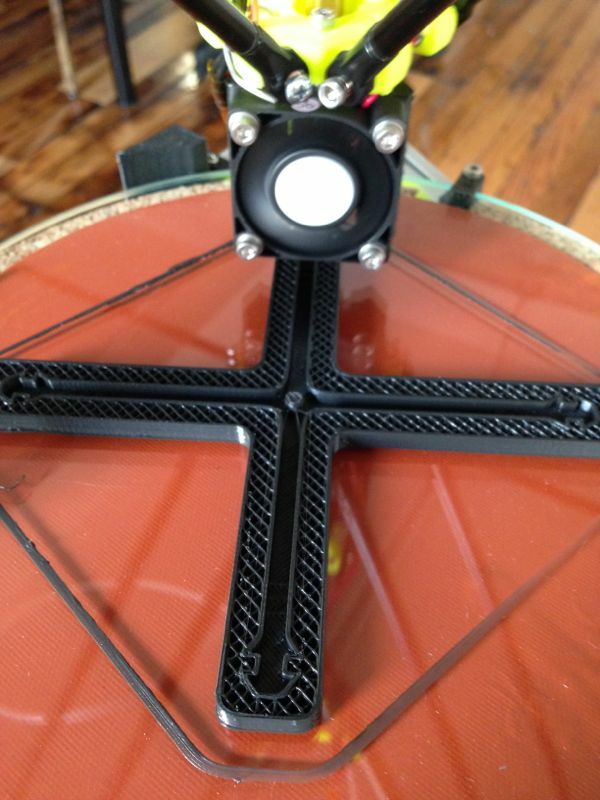 I chose to build a printer based on a delta robot configuration called the Mini Kossel. It’s not (yet) a kit, so putting it together entails sourcing a bunch of different parts from different suppliers on the Internet, making a few things on your own, and then a bunch of assembly and tuning — not something the average consumer wants to do. There are plenty of ready-to-go 3d printers on the market, and plenty of kits for those who want to save a little money, but I was happy to have a bit more of a project, and I’m enjoying the results (even though I’m not done tuning things). I’m putting together a longer write-up of my experience and thoughts, but in the meantime, if you’re looking for info on this printer (or other delta printers), here’s the place to go.